Some weeks in student affairs you make decisions that change students lives. Enrollment decisions, financial decisions, leadership decisions; decisions that have impact and meaning. 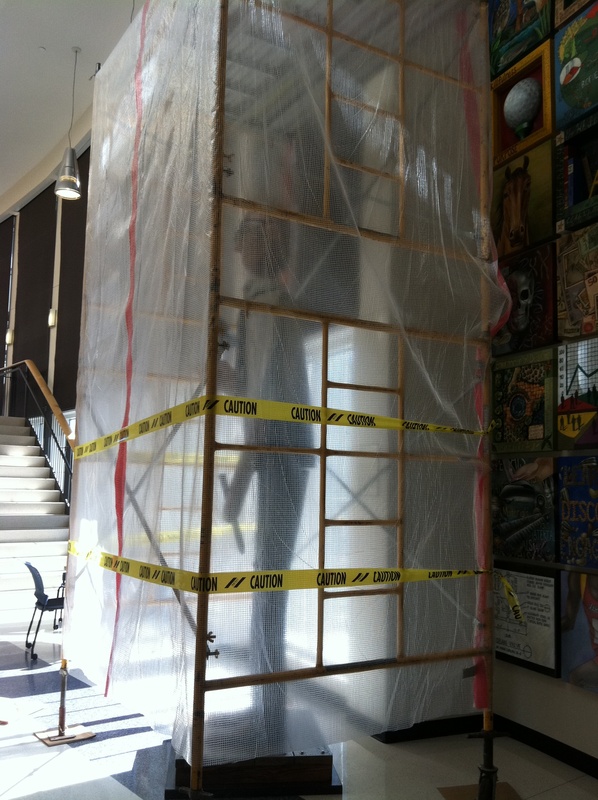 Other weeks, you decide whether the construction crew repairing your building will do more damage moving a twelve-foot tall, one-half ton wooden sculpture or building a safety barrier around it with scaffolding and bubble wrap. This entry was posted in critical thinking, higher education, Iowa, student affairs. Bookmark the permalink.